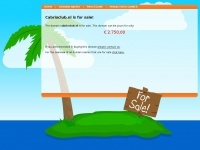 Cabrioclub.nl is for sale! Please contact us for more info! Akara Webdiensten B.V is specified as the websites creator. The web server with the IP-address 149.210.230.132 used by Cabrioclub.nl is run by Transip B.V. and is located in Netherlands. This web server runs a few other websites, mostly in the english language. The websites of Cabrioclub.nl are hosted by a Apache server and were developed in the programming language PHP. The markup language of the website is XHTML 1.0 Transitional. Both the inclusion of the website in search engines and follwoing of its hyperlinks is explicitly allowed.